Providing you the best range of 20 Litre Jar Rinsing Filling Capping Machine and Pet Bottle Rinsing Filling Capping Machine with effective & timely delivery. We are an eminent name, which is engaged in delivering Jar Filling Machines to honorable clients. The offered range of jar filling machines is made utilizing high grade raw material and modern machinery in strict compliance with the international quality standards. Moreover, the offered range of jar filling machines is appreciated for its simple electric control and easy adjustment. 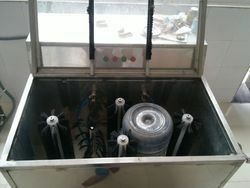 We are offering Jar Brushing Machine to our clients. 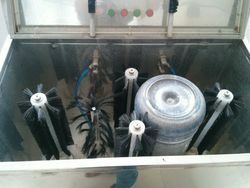 We are offering 20 Liter Jar Brushing Machine to our clients.